Another Valentine card, maybe the last this year :) An addition to the previously shown. 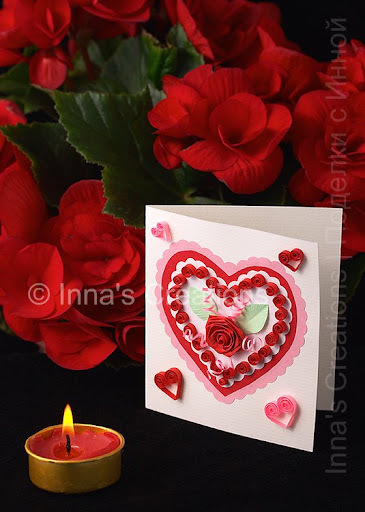 Made with quilling on thick watercolour paper. Sonya here from Appel Quilling, thanks for subscribing to my blog. I am trying to redo my blog and I will lose your subscription as a follower in the transition. Could you resubscribe in a day or so when I finally figure it out? 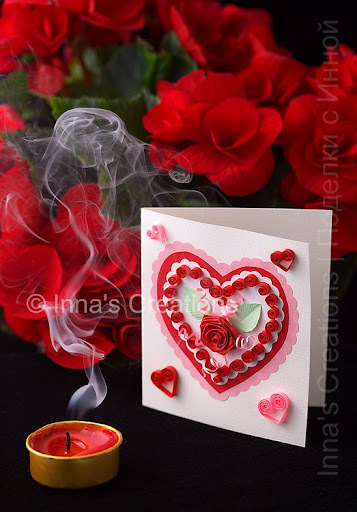 Your card is lovely..fabulous quilling! Nágela, Sonya, Colleen, thank you! Sonya, sure. Thanks for letting me know. Wonderful card... love the spirals!